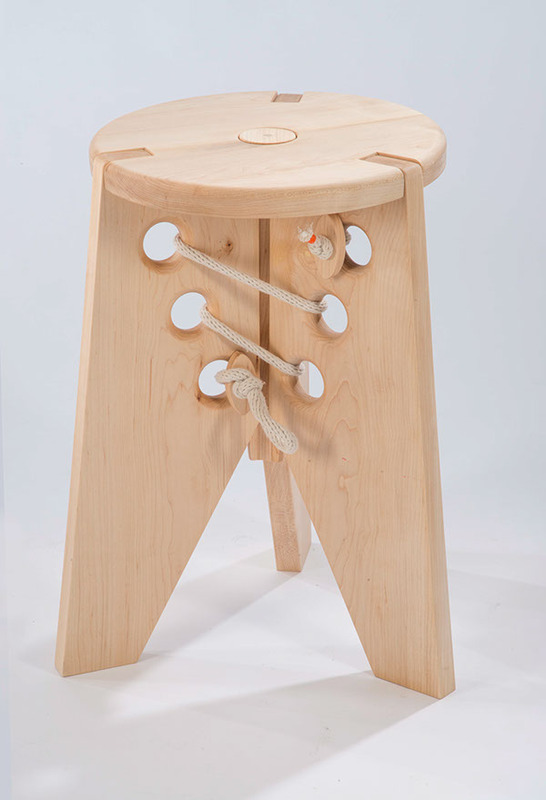 Derby Stool is a design playing with tension and structure. Besides a neat, reliable seat, this design provides an interesting experience of assembling your own furniture like a simple puzzle. 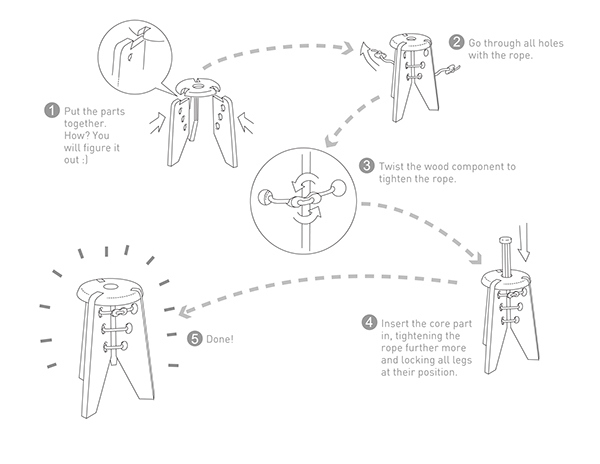 The process of building up the stool is very easy, that the graphical shape of each part indicates how they should come together and there is no any glue or knots technique involved. It’s the my intention to design furniture pieces with interactive quality such as assembling and I believe that the intriguing experience adds great value to an object. 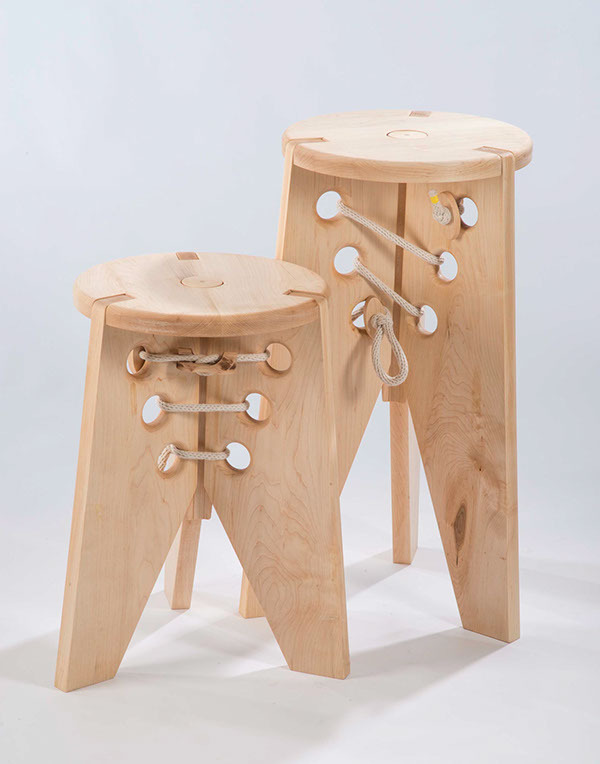 Derby Stool is a design playing with tension and structure. 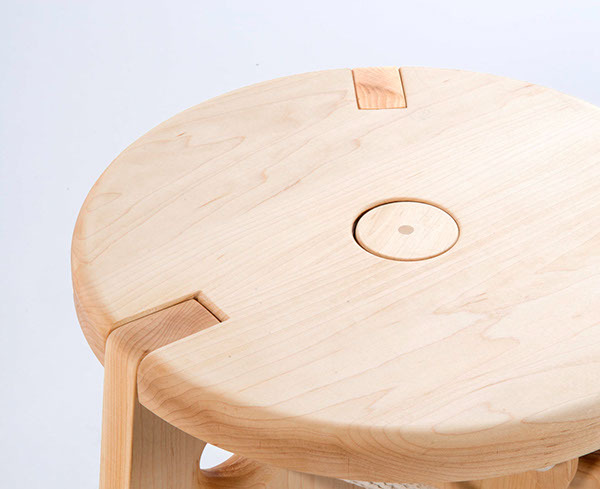 Besides a neat, reliable seat, this design provides an interesting experience of assembling your own furniture like a simple puzzle. 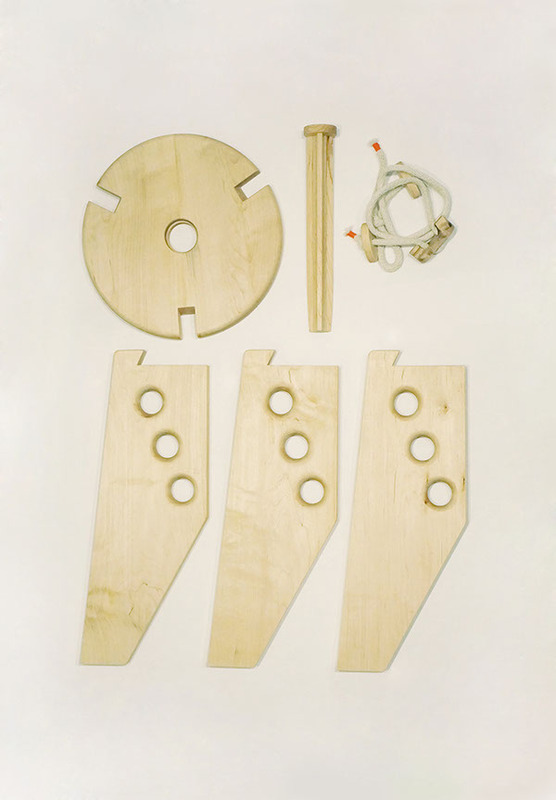 The process of building up the stool is very easy, that the graphical shape of each part indicates how they should come together and there is no any glue or knots technique involved. It’s the my intention to design furniture pieces with interactive quality such as assembling and I believe that the intriguing experience adds great value to an object.